After stops in Kansas and Arizona State, Seattle native Sam Cunliffe wants to finish his collegiate career with the hometown Huskies. Barring an unforeseen change of events, former Rainier Beach High star Sam Cunliffe hopes to join the Washington men’s basketball team. At least that’s what he expects. But the well-traveled Cunliffe, who has played at Kansas and Arizona State, knows better than anyone that the best-laid plans can go awry. So the 6-foot-6 small forward tempered his enthusiasm while talking about a courtship with his hometown Huskies. Jon Rothstein at CBS Sports reported Cunliffe has also received interest from Grand Canyon, Maryland and Minnesota. Cunliffe spent the past weekend playing in the Crawsover Pro-Am at Seattle Pacific University on a team with UW guard David Crisp, another former Rainier Beach standout. Both players lit up the scoreboard – in one game Cunliffe scored 31 points and Crisp had 29 – while thrilling fans with several highlight plays. Cunliffe has also began forging friendships with several Huskies who are playing in the Pro-Am. Admittedly, returning to Seattle is a strong attraction for Cunliffe, who has close relationships with UW assistants Cameron Dollar and Will Conroy. Two years ago, Cunliffe considered transferring to Seattle University when he left ASU and Dollar coached the Redhawks. After two years at Bishop Blanchet, Cunliffe averaged 21.6 points, nine rebounds and three assists for Rainier Beach High while leading the Vikings to the 3A state title in 2016. He finished with 15 points and six rebounds in the championship game before claiming the state tournament MVP award. Cunliffe was chosen the Seattle Times’ state player of the year and considered a four-star recruit that was ranked 41st in the nation by ESPN. At Arizona State, Cunliffe started all 10 games he played as a true freshman and averaged 9.5 points and 4.8 rebounds before leaving early in the 2016-17 season. Cunliffe landed at Kansas and was forced to sit out the 2017 spring and fall semesters per NCAA transfer rules. He made his Jayhawks debut during a 73-72 win over Nebraska on Dec. 16, 2017 and played two scoreless minutes. 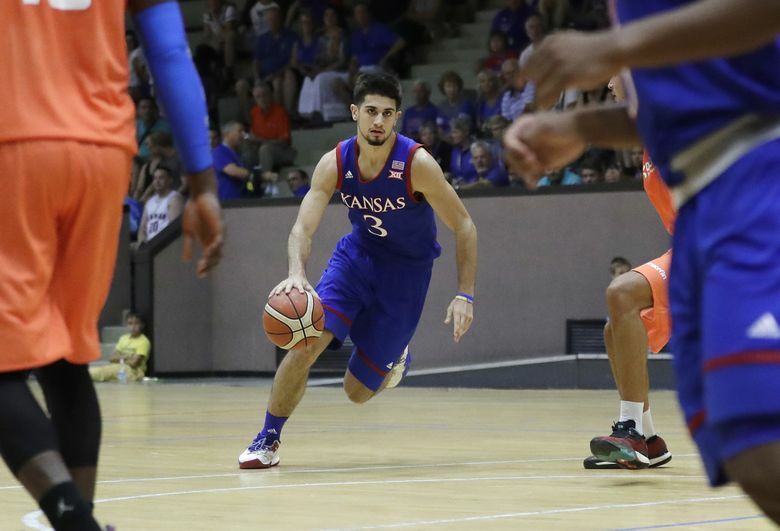 While Kansas advanced to the NCAA tournament Final Four, Cunliffe appeared in 15 of a possible 26 games while averaging 1.9 points, 0.6 rebounds and 4.9 minutes. “Even though we hate to see Sam leave, we totally respect his decision,” KU coach Bill Self said in a statement released by the school. “Sam has been terrific since he’s been here. He’s been a great teammate. He’s been a guy that has put forth the effort and it hasn’t translated to playing time for him yet. Self acknowledged it would have been difficult for Cunliffe to expand his role because the Jayhawks have a plethora of wings. It remains to be seen if Cunliffe is a right fit for Washington, which has a scholarship to offer and will lose senior guards Matisse Thybulle, Dominic Green and Crisp after the 2018-19 season. Cunliffe, who expects to sit out next season, has two years of eligibility and wants to finish his collegiate career with his favorite childhood team. “Growing up, the Sonics were gone so it was UDub basketball for me as a kid,” Cunliffe said. “I was at every game. … I used to sneak into the gym and watch practice. I’ve been a Husky fan since forever, but it just didn’t work out before.